Your savings and comfort are only a call or click away. We only deliver top quality fuel. We also offer budget plans, price cap and pre-buy plans, to credit approved customers. We are happy to refer our customers to preferred independent contractors for repair service and installations. 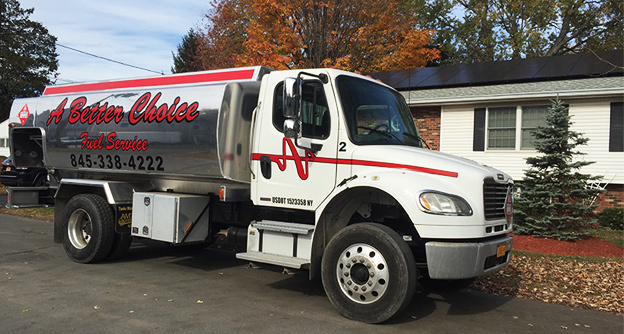 A Better Choice Fuel Service is a proud member of the Chamber of Commerce of Ulster County. Refund Policy: Any refunds due for deliveries that were paid by a credit card, will be credited back to the same card used for the deliveries. If paid by check, after the check clears from the bank, a refund will be sent for the amount due.